WASHINGTON (The Borowitz Report)—Representative Alexandria Ocasio-Cortez’s facial expression during the State of the Union address came under continued attack from Republicans on Thursday, with the former House Speaker John Boehner joining the chorus of disapproval. Boehner said that he considered Ocasio-Cortez’s facial expressions “a rookie mistake” and offered her a piece of helpful advice. 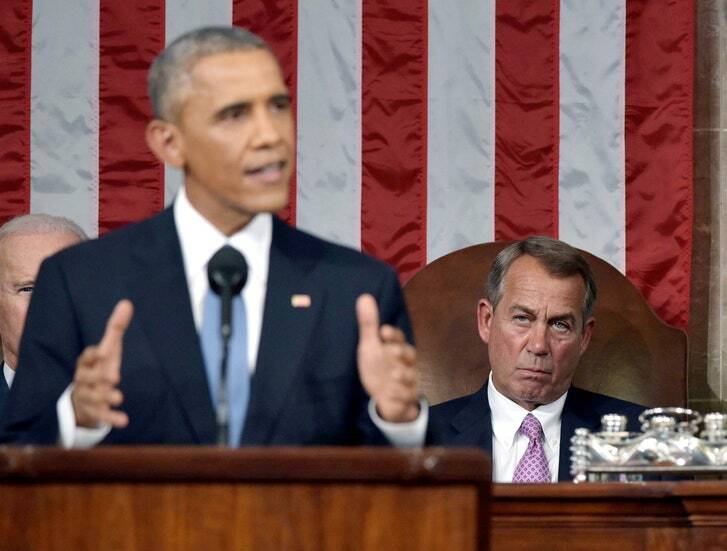 “Darlin’, take it from old man Boehner—you can catch more bees with honey than with vinegar,” he chuckled.